Authors and publishers are typically too busy writing and publishing books to become proficient in eBook creation and optimization. . At ILM Reader, we specialize in handling the eBook creation and design process for you so that you can focus on what you do best. You give us your files and explain what you want from the project. We give you a quote on the development, as well as any considerations or recommendations we have about how to make your eBooks the best they can be. If necessary, we can have a more in-depth discussion at this point about the project and how it should be handled. You approve the final quote and pay the deposit. We develop the eBook files and send them to you for review. You review the files and either submit revisions or approve them. After designing eBooks for many years, one thing we have learned is that there is little or no consistency between the files we get from our clients. Some publishers use InDesign, some use Quark, and some use other print design programs. Authors typically use a word processing program like Microsoft Word, Apple Pages, or Corel WordPerfect. The variation in file types and quality, even from one publisher or author, can be extensive. In addition to that, the complexity of a book can have a substantial impact on the difficulty of converting it into foundational XHTML and designing it in the eBook formats. Fiction books usually take much less time than non-fiction, but some fiction books are more complex due to formatting irregularities or images. Our content conversion and eBook design processes take all of these issues into account. We typically ask for Word and InDesign files since those are the most common source files our clients have available. However, we can also start with PDF files and other formats. ILM Reader keeps its high standards and make sure every work it provides is of high quality and comes with a guarantee. We pride ourselves in being available and responsive to the needs and concerns of our clients. We are happy to talk with you on the phone any time, and we respond to e-mails personally. If your book has complexities or you have concerns about how it will look in the different eBook formats, we are happy to help you and take your concerns to heart. We warrant our eBook development work 100% for life. If you find an error we introduced into your eBook, even many years after it is completed, we will happily and quickly fix it at no cost to you. 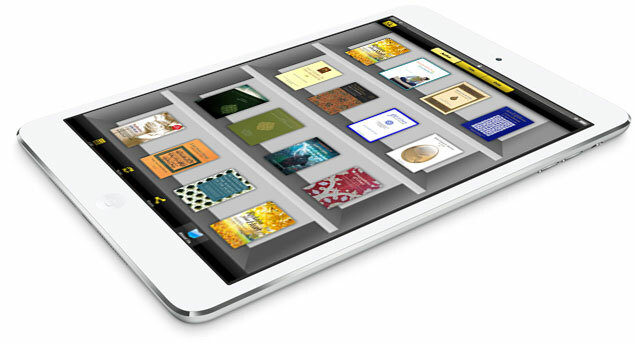 eBooks typically come in one of two flavors: reflowable and fixed layout. The vast majority of eBooks for sale today are reflowable, and every standard eBook project we work on includes the reflowable Kindle and ePub formats, which are the only formats you will need in the eBook market today. For more complex titles that must more closely match the layout of the print book, can create fixed layout children’s, non-fiction, and comic books in a variety of retailers’ formats. We distribute your titles worldwide with our proprietary app “ILM Reader”. Targeted marketing to the intended audience. Lowest commissions in the industry. No upfront, monthly or annual costs. Conversion into foundational XHTML designed specifically for the eBook formats chosen. Formatting paragraph indents and alignments the same way they are used in the source files. Designing lists, outlines, poetry, and other non-standard paragraph types in ways that work best in eBook formats. Creation and linking of an active Table of Contents in the text of the eBook. Creation of a structural table of contents used in many reading systems for navigation, such as the TOC in ePub files and the waypoint navigation system on the Kindle (using right- or left-click on the 5-way controller). Your cover image properly re-sized and embedded (cover design is available for an additional fee). Optimization of images, charts, and other internal graphical elements. Tables inserted as real text in most instances, designed to display beautifully on all devices Footnotes/endnotes formatted as eBook endnotes and linked both directions. Subject index page numbers linked (indexes with other types of links are charged additional fees based on complexity). Fonts are embedded when necessary or requested. Sometimes, books with foreign languages include characters that are not supported in the default fonts in certain devices. In these cases, we will embed an open license font into the ePub file so that your content displays properly in those readers. We are also happy to embed your own fonts, given certain licensing stipulations. Validation against industry-standard tools like ePubCheck and ePubPreflight, as well as other validation checks, and is optimized for display in the most popular eBook devices and apps. Any necessary edits or adjustments to the final files due to errors we may introduce in our process (not a common issue). In addition to these standard features, we also offer a wide range of eBook enhancement options. Copyright © 2014 ILM Readers. All rights reserved.